AeriumX (AEX) has been rebranded from Aerium. Read the official announcement for more information about this. AeriumX trades under the symbol "AEX" and works separately from any monetary authorities. It is not a mineable crypto coin, so in order to acquire AEX, you are able to purchase them with an exchange service. It uses the proof of work (pow) consensus and the Aergo algorithm. AeriumX can be found online, on social networks like Telegram and Twitter. We don't have any exchanges listed for AeriumX yet, check back soon! We don't have any wallets listed for AeriumX yet, check back soon! 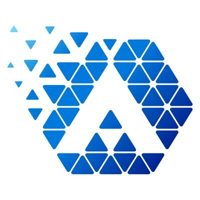 We don't have any debit cards listed for AeriumX (AEX) yet, check back soon! We don't have any price charts listed for AeriumX yet, check back soon!